Welcome to Atlanta Kennel, established in 2006, home to some of the best pure bred American Bullies in the world. We breed pocket and standard bullies with extreme features. Our main focus is Razors Edge out crossed with select bloodlines to make our own AK Bloodline. Our stock is exclusively ABKC registered. 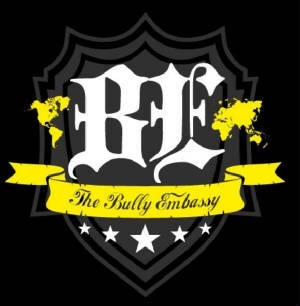 We have been involved with American Bullies for over 10 years and have gained vast knowledge and experience over the years. AK Bloodline can be found worldwide with productions in Italy, Czech Republic, Puerto Rico, Spain, Japan, Brazil, China, Australia, Canada, Switzerland, Germany, The Caribbean Islands and many more. We encourage everyone check out our facilities and dogs in person. The kennels are disinfected twice a day and monitored 24 hours a day 7 days a week. 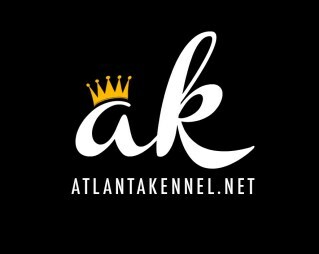 Atlanta kennel is licensed by the state of Georgia, as well as a registered pet dealer with the Georgia Department of Agriculture. Regardless of whether you’re using one of our studs, purchasing a new companion, or improving your kennel, our main goal is to ensure complete satisfaction. Anyone interested in discussing pedigrees, shows, or just dogs in general please feel free give us a call/text/email. We will be glad to help. The American Bully was established in the mid 1990’s with the purpose of creating the ultimate family companion. The American Bully is a combination of the desired traits of the ancestry of the American Pit Bull Terrier and the American Staffordshire Terrier. This was achieved through years of selective breeding. The American Bully possesses the loyalty and stability of the American Pit Bull Terrier while retaining the sociable, amiable, and outgoing temperament of the American Staffordshire Terrier. This unique breed is noted for displaying extreme tolerance toward children and an overwhelming eagerness to please its family. Confident, yet not aggressive, this breed is all in all of a pleasant temperament. Physically, the American Bully has a graceful yet impressive, solid, defined, athletic build that is both muscular and toned, and denotes strength as well as agility. It is a breed capable and diverse in all tasks and abilities. The American Bully is a well rounded, reliable, trustworthy, and all around the ideal family companion.